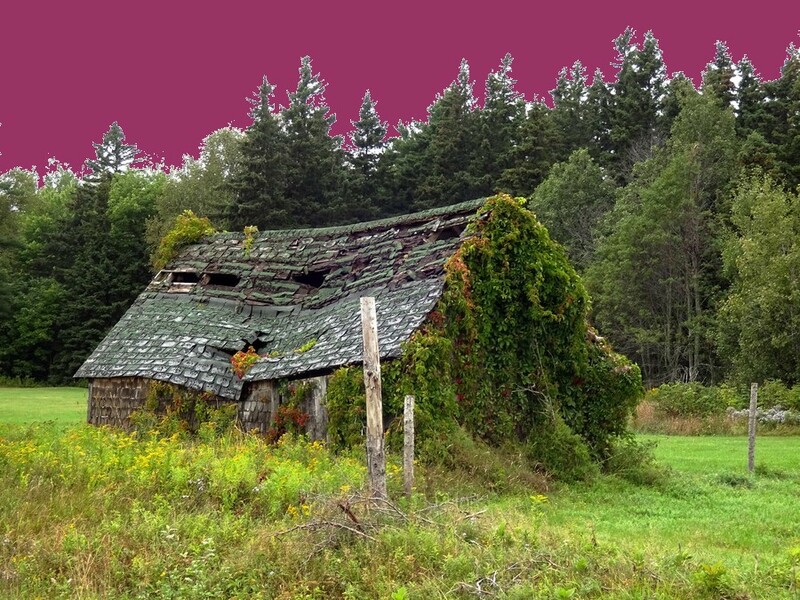 As if a raspberry coloured skyline wasn’t enough, we have this delicious ruin supporting new plant growth! Love it, Carin. And that it’s allowed to fall to the ground in its own time and grace. I love that best. Yes. Change is inevitable; grace is not. Oh I like that… beautifully put. So green so green … and then! My goodness, what a sky. Wonderful contrast of colour and mood. And what a beautiful old over-grown house. Where? Did you venture in? The picture speaks volumes of history … so rich and thought-provoking. Marvellous use of colour, and as for the subject, I’ve thought of doing a series of photos of old tumbled down barns too. They are not just individual ruins but also speak of a whole lost world. I’ve thought the same thing. I think there’s value there, in the memory of them and that whole other way of life. The landscape is rife with the tumbling down version just now… won’t be the case in a few years. Snap away! And this one in particular, just perfect. Great capture I like the coloured sky too heheh! Oh I do love coming upon scenes like this and love your purply sky to contrast with the rich greens and wood. I love old barns too! I was ten when my family visited ‘the old country’… they both come from farming families… and it was my first time, really, being in that environment. They couldn’t get me out of the barns. Loved everything about them from the get-go. The hay smell. The other smell. The animals, the warmth of them all in one place, the snorty noises they make, the way they look at you like they’re glad you’re there. I took the goats for a walk and shovelled manure for fun. In my Sunday best. When my parents found me they just laughed. Obviously didn’t come as a surprise. In my DNA perhaps. I have a thing for abandoned houses, and you’ve captured here one of the best I’ve ever seen. There’s one of those spectacular artsy Carin skies. Purple no less. (Purple is great against green.) And I love the contrast between the wood and roof tiles of the building and the trees, shrubbery, and vines — and the way the vines have taken over the whole side as if reclaiming it. I was going to ask where it was taken, but I see above that you’ve said PEI. I was going to guess England! Old barns, houses. Something about the way they’re *not* knocked down shows a kind of respect for them. Especially barns.